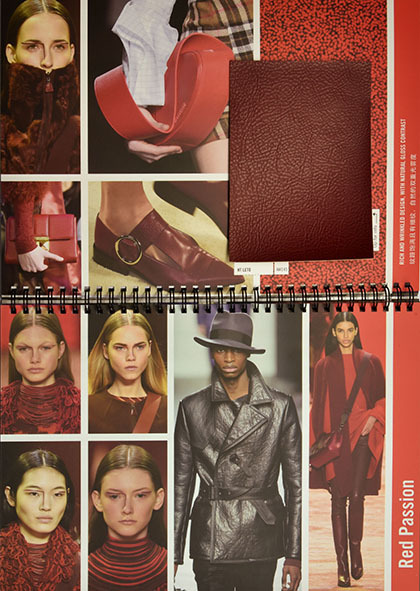 In addition to the catalogue, we produce an Autumn/Winter Collection that illustrates fashion trend interpretations for the season’s key textures. Innovative design is the key to success in any fashion driven industry. Favini’s release papers technical and manufacturing expertise is backed with a deep knowledge of developing trends in fashion and design. 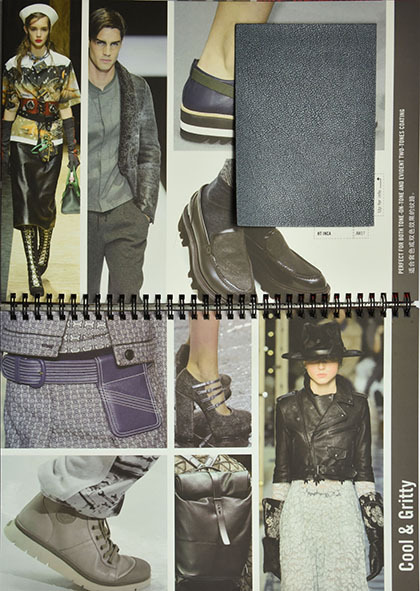 By anticipating the next season’s looks with the help of trend consultancies and key fashion exhibitions such as Lineapelle, Fimec and ACLE, we keep our customers at the leading edge of the international footwear, accessories and interiors markets. Favini is as the heart of fashion inspiration in Italy – a country renowned throughout the world for its long and prestigious tradition of quality, style and finesse. Favini continually invests in the research and development of new patterns based on fashion trend collections. Combining the difficult task of reconciling fashion requirements with technical production, while placing priority on producing quality products. Favini celebrates the passion and technical skills of its team of dedicated staff who work together every day to create the exquisite release papers.